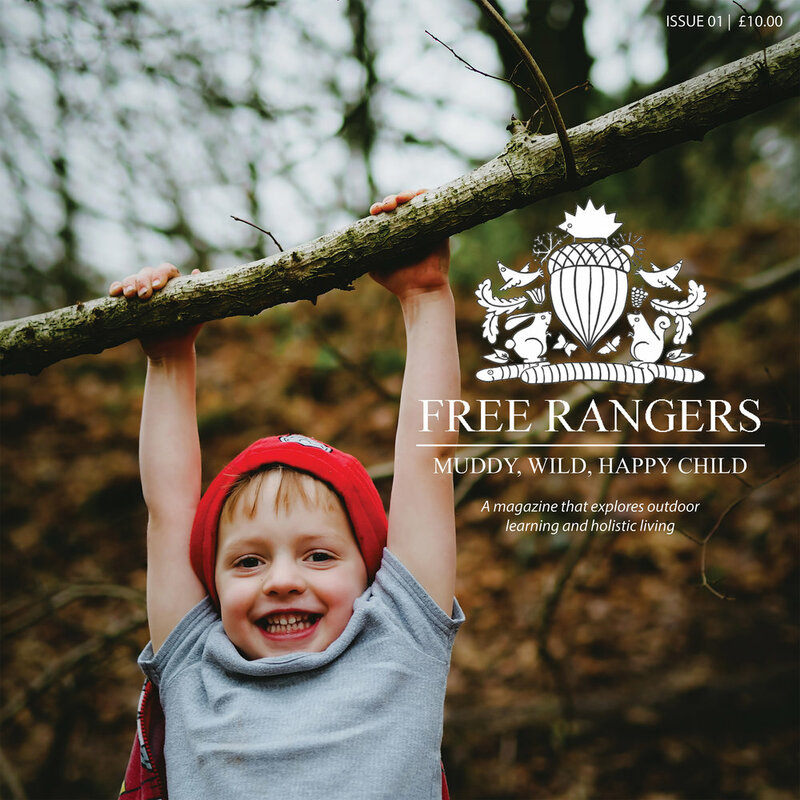 Just like the Ant and the rubber tree plant in Frank Sinatra’s ‘High Hopes’, the children at Free Rangers have been seriously challenging themselves this week on our slackline in Otter Brook Wood. Most of our children have got to grips with our Timber Trail in the paddock, conquering it’s bumps, jumps and bridges which is rather impressive considering that various parts are nearly a child’s height off the ground with no handrail for support. So this week for Forest School we decided to revisit Otter Brook Wood to continue the children’s familiarisation with this environment, as well as to provide a slightly different challenge to the Timber Trail. The slackline is simply a long piece of nylon webbing with a ratchet so it can be tensioned between two solid points to create a sort of very narrow trampoline. We had two set up, one for feet, another for hands. Check out this YouTube video to see one in action (ours were totally higher than this...) We start the session, by introducing what the slackline is, what they think it’s for, and how we navigate it. Then we discussed about taking turns and the Golden Rule being: “If feet are on, hands are off” to prevent those waiting from shaking the slackline when others are balancing on it. Lastly we stress they can travel as far as they feel comfortable, and the adults can help them down when they would like to make a sharp exit. Not only is their balance and coordination tested on a slackline, but also their strength, stamina and possibly most importantly, their desire to succeed. This was highlighted on nearly every day, where a few of the children really pushed themselves to fulfil the challenge of clambering onto the slackline by themselves, and then navigating its length without any adult assistance. Although this activity has been used before, this week has really highlighted to me the children’s tenacity to push themselves onwards to achieve despite the situation in which they find themselves: in this instance being over a metre off the ground and wobbling around uncontrollably! This did get me thinking as to why some children push themselves: was it for self motivation to boost their own self worth? or were they simply trying to impress and earn the praise of the adults around them? Perhaps both? I certainly saw plenty of proud faces from some of the children after reaching the end of it. After the children had a few attempts, we decided to ‘gently persuade’ a few of the not too confident children to get to the end (although to note they actively wanted to get back on themselves as opposed to us forcing them back on). Some really didn’t want go further (and consequently higher) so they were helped down, but others despite being obviously nervous, pushed on and I’m glad to say conquered it. This might seem mean (it’s definitely mean), but when the children finished, it was very easy to see the children’s glee and confidence in themselves. One particular little boy especially was very proud of himself and after nursery was heard recounting what he had achieved to his parents. Have a super weekend everyone, and don't forget to play outside!